Wow, I can't believe that today is the last day of February! The month has passed really quickly, but thankfully plenty of time for making. I have done lots of dressmaking, but those makes will have to wait as they haven't been photographed! So today I have something which is a bit of a break from dressmaking... Knitting! I have not been successful with knitting in the past; my attempts all seem to be unfinished scarves, but I've always wanted to learn how to knit properly. For Christmas, I received some lovely wool and some patterns from Gnaw's Knits, and I decided that this would be the time that I finally conquered knitting! 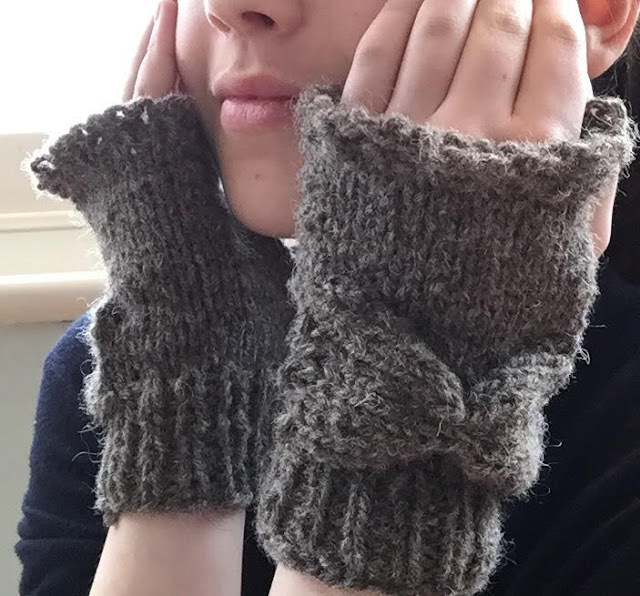 The pattern that I chose to make is the Audrey Gloves pattern. They probably weren't the easiest things to make for a beginner, but I managed to do it (I was very determined!). 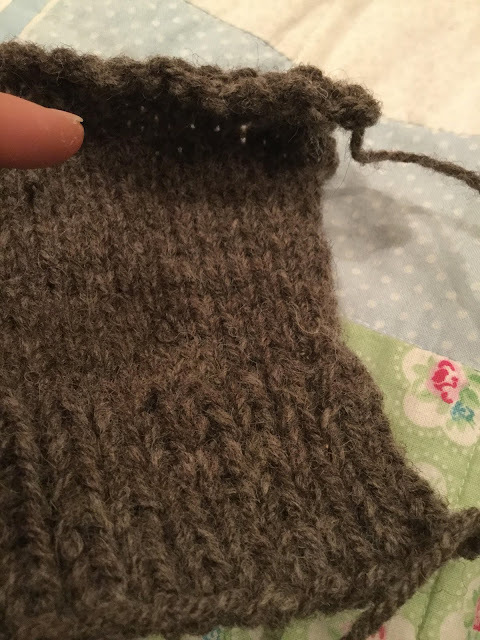 As well as the classic knit and purl I learnt how to rib knit, which I'm really pleased that I managed to do. I think it makes the gloves a bit more professional, and I'm pleased to have learnt some different techniques. 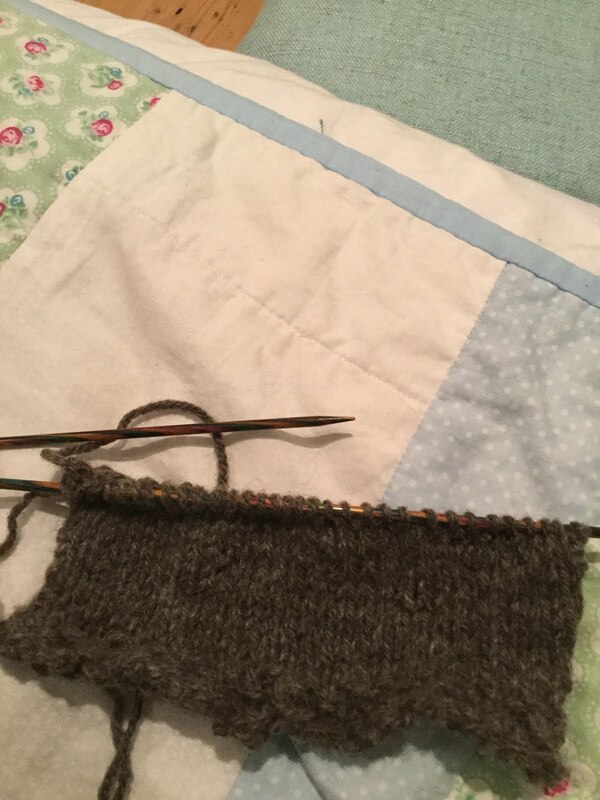 The knitting grew slowly at first, and then the second glove came together much more speedily. I found the pattern instructions really easy to follow once I worked out the abbreviations, and I googled any techniques that I didn't know (which was most). The only difference to the original pattern is that my bows are slightly different. I ran out of wool at the end, but I simply put a few stitches through the middle of the large rectangles to pinch them in the middle, and sewed them on. I actually prefer this to the original design, so it was a happy mistake! I'm hoping to carry on adventuring in knitting now that I have a successful make! I'm hoping to try and knit a jumper. Who knows, it might even be finished for next winter if I start now!